I have gotten a lot of questions on how I did the gray shelves in my kitchen/living room, so I thought a blog post was in store. This is so easy it hardly needs a post! Hint: They are IKEA hack shelves. I was totally inspired by Sugar and Cloth's shelves, and hers are much more creative ... so you should definitely check them out. 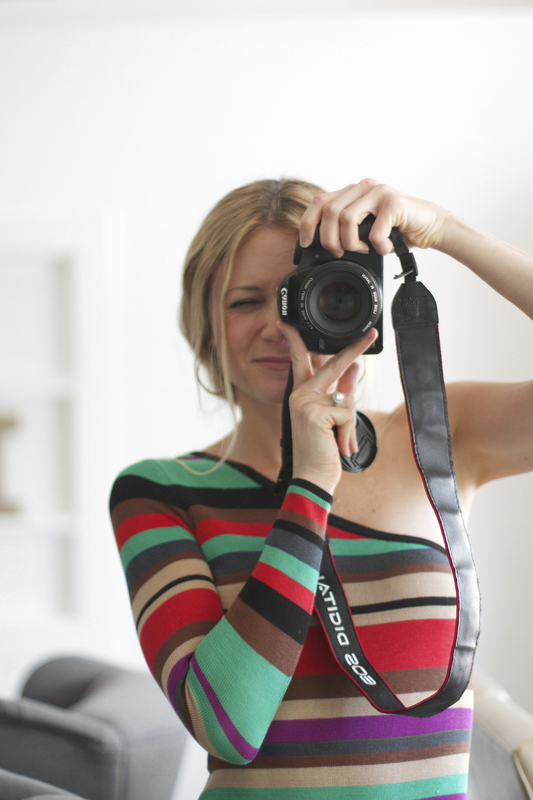 She actually creates scratches and blemishes to make them look distressed ... so cool! First, stain your shelves according to the instructions on the can. We painted the stain on and let it sit and then wiped the excess off with a rag. We did two coats. Next, measure where you want your shelves and hang them. Make sure to find studs on at least one side. We didn't the first time, and the shelves came crashing down ... oopsies! I find anchors aren't too reliable when hanging shelves that jut out far from the wall. You will notice the unfinished shelves leave a little space between the brackets. They may have unfinished shelves at IKEA now that fit perfectly, but when I got these they didn't. They had finished shelves that fit perfectly, but I wanted a more gray + rustic look. It doesn't bother me though. I hardly notice it. 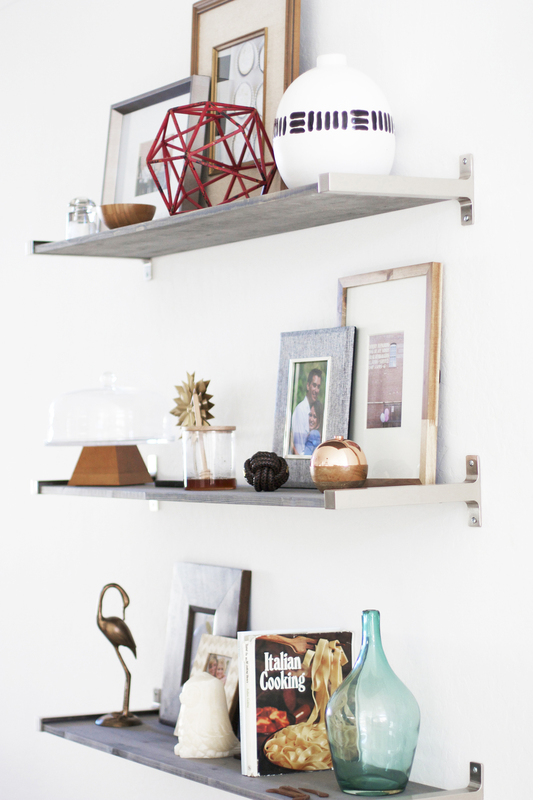 In case you are interested here are some tips on decorating shelves ... your DIY gray shelves to be exact! 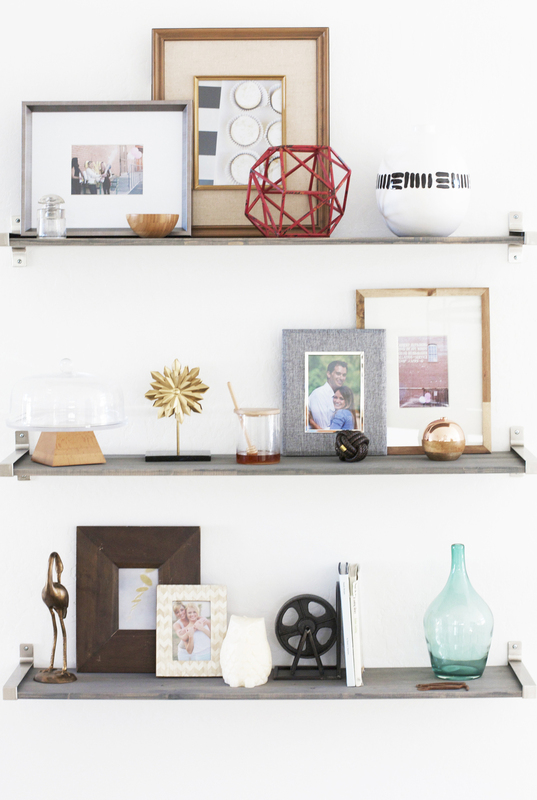 Are you as obsessed with shelves as I am? I want to put them on every wall in my house ... seriously ... would that be weird? On that note, here are some DIY marble shelves that now sit in my bathroom.